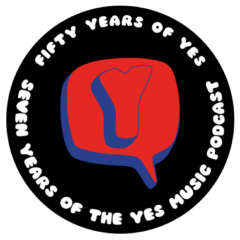 The ninety-first episode of the Yes Music Podcast, featuring a further and final look at a YouTube video of a ‘Talk Tour’ concert from 1994. Listen and see if you agree with me about this concert footage, then let me know by contacting me via any of the different routes on the right hand side or by leaving a comment below! How do the new songs come over live? Are there any backing tapes in use? What does Billy Sherwoood add? The ninetieth episode of the Yes Music Podcast, featuring alook at a YouTube video of a ‘Talk Tour’ concert from 1994. Listen and see if you agree with me about this concert footage, then let me know by contacting me via any of the different routes on the right hand side or by leaving a comment below!